I found this shade in the clearance bin at my local Harmons and had honestly never heard of it. My yellow drawer is quite light in comparison to the others (really, it shares its room with brown and orange), so I picked it up and thought I would give it a go. 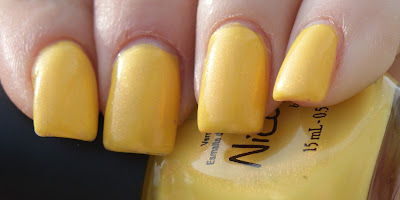 Nicole by OPI Yellow... 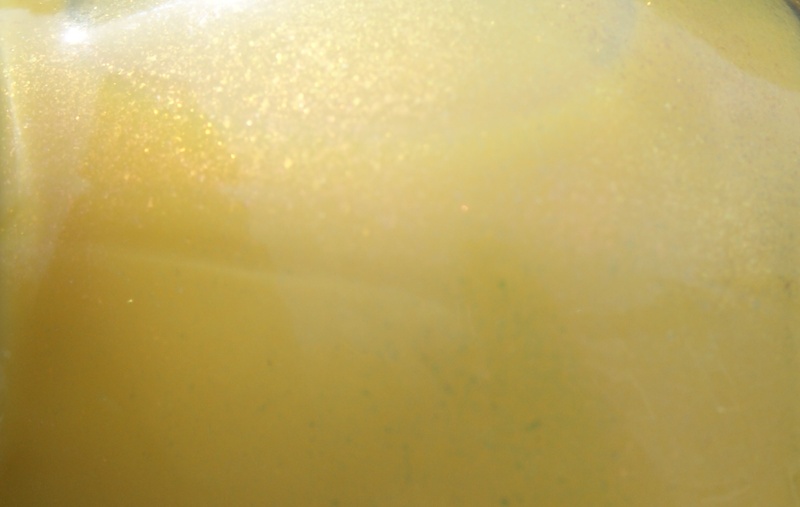 It's Me is a buttercup yellow with peach shimmer. It is rather opaque, so I layered two coats of it over Saint Germain Yellow Sun (stay tuned for the new SG collection tomorrow). It's very hard to see in the bottle, but the shimmer is prominent on the nail. It was SO hard to capture the shimmer in the photos. I highly recommend that you click on the images below to see the sparkle of it better. It's like the yellow version of Sinful Colors Cinderella. I'm not a fan of yellows, especially because they can bring out bad tones in my skin and look super gaudy. But Yellow... It's Me is an excellent shade for me because it's a little more subtle, but has a pop to it that is VERY me. It lives up to its nail! So what do you all think? Is this your kind of yellow too? ANNOUNCING: Charity Nail Polish Jewelry Sale!